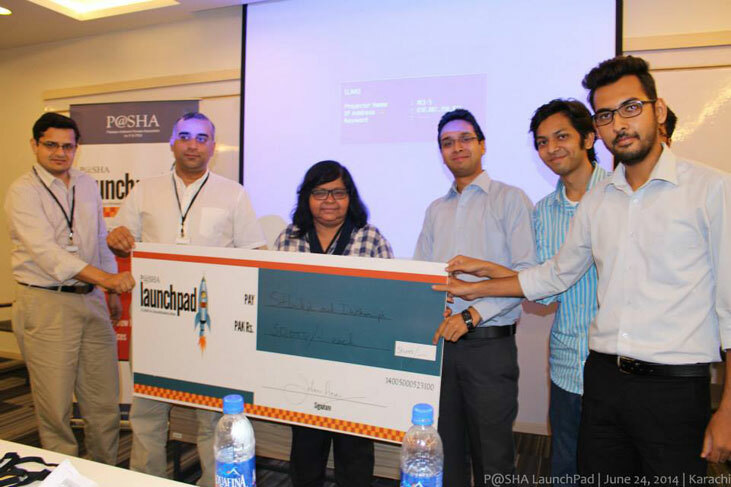 P@SHA Launchpad 2014 Result Details are Here! TechJuice > News > P@SHA Launchpad 2014 Result Details are Here! July 10, 2014 - Like us now! P@SHA held its Sixth Launchpad this year and the winners have long been declared. The prize money of 1 Lac Rupees was given in three categories, Best Startup, Best Innovative Idea and Best Social Innovation. However, if you wanted to know more about the winning ideas, we finally have the main details of the teams that won the Launchpads held in Lahore, Karachi and Islamabad. So what are you waiting for? This Karachi based startup is all set to help Pakistan catch up with the international 3D printing trend. They have already developed a desktop 3D printer and are now working to create an eco system for 3D printing in the country. Everybody can track you online but hey, what happens when you are not online? Offline Locator will track people and vehicles using smartphones without the use of internet. Sitback.pk will contribute to a more productive student life by allowing students to solve problems that university students face as well as offering them the opportunity to earn cash while studying at home. Currently sitback offers two solutions: carpools and book-exchange for students. Dastkari.pk is an online marketplace where skilled craftsmen and artisans can sell their handicrafts. Dastkari aims to empower people especially women who are talented but are largely confined to their houses and can’t go outside to sell their products. Now through Dastkari, they can earn money online while working from home.You can also buy and sell handmade items including crafts and jewelry on dastkari.pk. All sellers are at the end of the day looking for new methods of advertisements. Air ads focuses on delivering a unique experience to both advertisers and users by enabling smartphone users to scan the ‘Air’ of their respective cities so that they can stay up to date with all the current happenings. Air ads promises a very different, augmented reality experience to the user is thus won the best startup at Islamabad. Online Appointment aims to be an online database where people with busy schedules like doctors and consultants can fill in the slots in which they are available in advance for a set period of time (could be anything from a week to a year). Once everything is recorded in the online database, consultancy time will decrease significantly make appointments easier. TechJuice would like to extend heartiest congratulations to all the lucky winners!